Stripping the garden down to its naked basics is winters’ trump card. 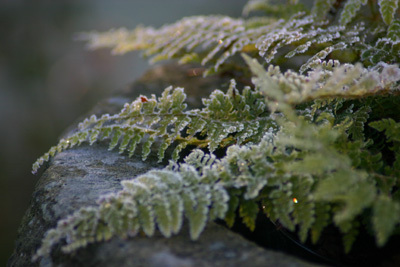 The snow queen’s chilly spell will take away the dressing of flower colour and opulent foliage. What is left are the assets and not so great features: the veritable bones of your garden, just like the getting naked in the Gok Wan TV series. Use the season to have a good look in the mirror. I plan to change the planting behind my sculpture that sits pond side to a fiery backdrop of dogwoods. It is a main view from my kitchen windows so the red and yellow stems of the young Cornus will be back lighting to accentuate my best assets. Look out of the windows, tour the garden via the entrances, pathways and sit in the resting places and look with new eyes on the garden. Does the eye flow around the space without the supporting act of flowers and foliage? Fastigiate trees act as exclamation marks calling for your attention. Balls and buns such a Hebes, Box balls, Lavender domes, act as full stops arresting the eye and creating a focal point. Vase shape collections of grasses or shrubs do the same but lift the eye upward. Spiky phormiums play a similar role but also add weight to the picture and thus balance. Sculpture and weighty pots repeat the formulae. 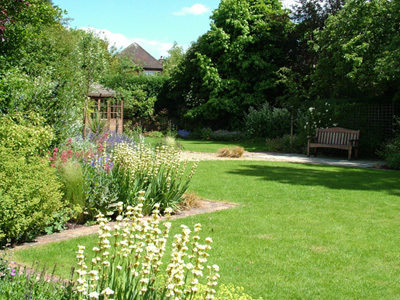 Moving around the space in the way you have created allows you to guide the experience of the garden. Pinching down a view and opening it up again to create an exciting new space. Evergreen and structural trees and shrubs and structural props boldly provide the harmony that will help the space look like a garden rather than a plant collection. When I am designing a space I try to place a nice winter spirit lifter into the plan. So maybe in your review you too could squeeze in the highly scented Sarcococca hookeriana var. Digyna by an entrance you use, maybe even in a pot? You will be repaid many fold, as flowering in January, when many others are shy it will be a heady tonic. Indeed it will add to your assets so that when the garden is naked it will be looking good and smelling good too. Substantial pale limestone roughs in England are now few and far between. So as to offer our customers a wide range of troughs which are fully at home in this country, we are launching a small collection of large Limestone troughs from Northern France. Arguably the very same seam of limestone as we find on our side of the Channel, these troughs are very old, beautifully hand carved, in great condition and have wonderful lichens and colouring to the stone. A variety of shapes are available - traditional large rectangular ones, occasionally a large round one and sometimes unusual diamond or triangular shapes. This urn is listed in the Handyside of Derby and London 1874 catalogue as one of their pieces in cast iron. The definition in the casting is simply gorgeous especially in the lid where the decoration is so beautiful. The original of this urn is a vase by Sosibos carved out of black marble now on display in the Louvre in Paris. It has swan rather than double snake handles which this later one has. Handyside of Derby was originally The Britannia Iron Works in Derby on the bank of the river Derwent. Handyside produced high quality castings and exhibited a selection of ornamental wares at the Great Exhibition of 1851 where it was awarded a medal for ‘Iron Castings’. You do sometimes also see this design in lead – We currently have a pair of early 20thC lead lidded urns with the swan handles as the original vase. "How still it is!" She whispered. "How still!" Then she waited a moment and listened at the stillness. 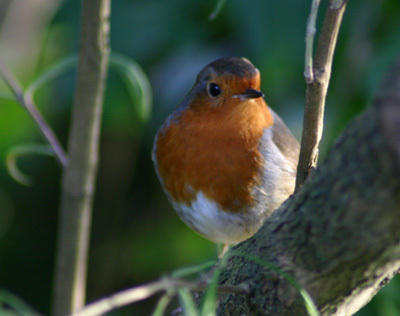 The robin, who had flown to his tree-top, was still as all the rest. He did not even flutter his wings; he sat without stirring, and looked at Mary. .....the grey trees with the grey creepers climbing over them and hanging from their branches, the tangle on the wall and amongst the grass, the evergreen alcoves with the stone seats and tall flower urns standing in them. ..........she was inside the wonderful garden, and she could come through the door under the ivy any time, ...she felt as if she had found a world all her own. If you have not read this book - make time please. The magic and solitude of the garden is haunting. A secret garden hidden in the midst of a busy world. We could all do with one of those! We may not have any shows booked until March next year, but we are still very much open for business and out there hunting out new and exciting individual items to go onto the website. All of our stock is on there so you can see the full range of sinks and troughs, pots & urns, statuary & ornaments, stoneware, copper coppers, cast iron and terracotta garden antiques. We will be celebrating our 10th anniversary with a variety of shows and exhibitions, starting off in March/April with an anniversary Private View at Hopleys in Much Hadham - (prior to Chelsea Flower Show) date to be announced. We hope you will join us for a glass of champagne and a bite of lunch while you enjoy a personal preview. FOR YOUR DIARY The Chelsea Flower Show next year is 22nd to 26th May and The Hampton Court Palace Flower Show is 3rd to 8th July - we would love to see you there. I can't resist publishing this quote from a customer – she says to keep up the hunting. "your finds are an island of loveliness in an ocean of tat!" J’s Garden Notes comes out 3 times a year. 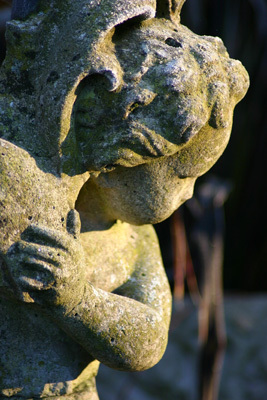 We hope always to include articles of interest in various topics to do with gardens, design, ornaments and antiques. We plan to include various authors - adding their expertise along the way. DURING THE WINTER PLEASE DON'T FORGET YOUR WATER FEATURES - especially if in a composition stone - if we get a deep freeze they need to be drained down to protect the stone throughout the freezing and thawing process when the water in the stone/composition stone expands and contracts. Lead or other metals not a problem but you might like to drain down for the winter anyway - composition stone expecially needs protecting as well as the more porous stones such as sandstone and the less dense limestones. If in doubt draining it is the safe option. Also with pots/containers the ones most at risk are the tulip shaped ones or jars which come in at the top. When expanding the soil simply has nowhere to go so puts extra pressure on the pot. If in a more trumpet shape them there is room to expand. Again any doubt take precautions - garden fleece is very good for covering or wrapping.